(P1) To prepare for his long day of Monday meetings, Andreessen Horowitz partner Chris Dixon has a RITUAL. (P2) Dixon drinks Soylent, the CHALKY nutrition drink FAVORED among startup workers, then INGESTS another startup favorite: nootropics. (P3) The so-called “Smart Drugs” keep Dixon ALERT as everyone else is SAGGING after a heavy lunch. (P4) On a Monday, it’s a combination called “Sprint” to power him through the day. (P5) Dixon likes them so much, he is leading a $2 million funding round for a startup that makes them, Nootrobox. (P6) It’s an unusual investment. After all, SUPPLEMENTS to BOOST your brain sound like a SCAM. (P7) AT FACE VALUE, all Nootrobox is doing is selling supplements in pill packages. (P8) Instead of boosting your Vitamin C levels, these pills “biohack” your brain. All of the ingredients used are labeled by the Food and Drug Administration (FDA) as GRAS (“generally regarded as safe”) or acceptable, the company says. Some of the main ingredients are CAFFEINE and L-Theanine from green tea. (P9) Together, in what’s called a “stack”, the combination becomes a pill that is sold to biohackers like Dixon. (P10) Biohacking is a DIY-movement in Silicon Valley in which people experiment with various supplements or devices that they believe lead to increased PRODUCTIVITY, mental ACUITY, and other benefits. There’s an active group on Reddit of more than 60,000 people who discuss which nootropics to take and their results on the body. (P11) That’s where Dixon found Nootrobox. (P12) The startup has three “stacks” of pills called Rise, Sprint, and Yawn. Rise is your everyday mental booster while Sprint is made largely of caffeine for short SPURTS of productivity. Yawn is for going to bed. 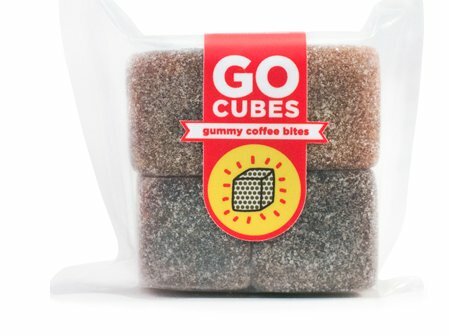 (P13) The company’s newest products are “Go Cubes” of chewable, gummy coffee bits for those who like a caffeine boost without taking a pill. (P14) Nootrobox had been PANNED in the biohacking community because it sells WELL-KNOWN and easy combinations. (P15) If you don’t know what you’re doing with nootropics, the result of misuse can be dangerous. Dixon thinks the Nootrobox products are safer. (P16) But what if this is just an obsession of techies on places like Reddit? What if normal consumers never bite? (P17) “Any of things we invest in could be a FAD and not a trend, and that’s totally the risk we take,” Dixon acknowledges. (P18) But he does see nootropics gaining a FOOTHOLD because their effects are increased happiness and productivity. (P19) Earlier this year, another VENTURE CAPITAL firm, Trinity Ventures, made a big bet on another product, Bulletproof, which uses oils and other ingredients to increase mental acuity and brain performance. Its founder, Dave Asprey, is a well-known biohacker who takes more than 30 pills a day to hack his brain. (P20) Dixon and Nootrobox admit that there is still little information on the health benefits of these products. Part of the startup investment will go towards COMMISSIONING a study so that the startup can SUBMIT it to the FDA and get permission to make claims of EFFICACY. Do you take any vitamins or nutritional supplements? Is there really anything new or different about the claims for “nootropics,” or is this just the latest nutritional fad? Do you drink caffeine in the form of coffee, tea, or cola to help you wake up in the morning, or for added energy during the day? Do you think that techies are strange or normal?